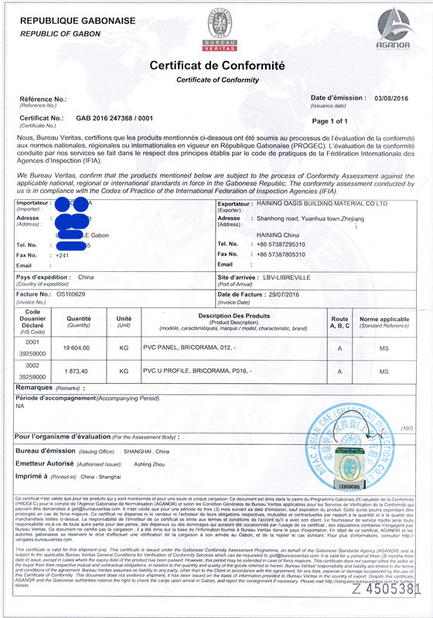 PVC content 40% , 45% , 50% , 60% , 75% etc. Functions Fireproof, waterproof, mothproof, rustproof, sound insulation, etc. 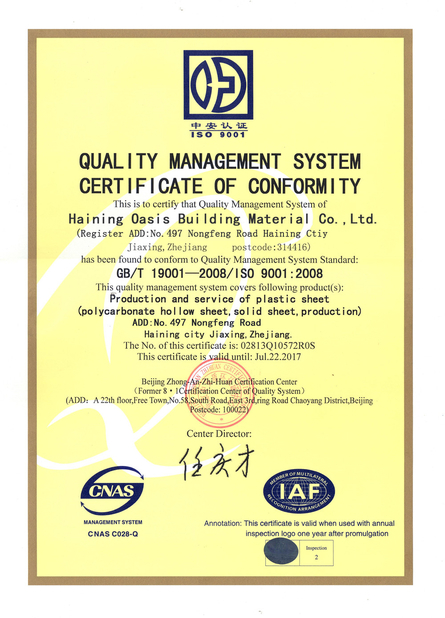 Certificates ISO:9001, ROHS, REACH, CE etc. PVC ceiling is not only light weight, waterproof and moisture-proof, but also has the characteristics of acid fast and alkaline. It is an ideal material for installation in the kitchen and bathroom ceiling. 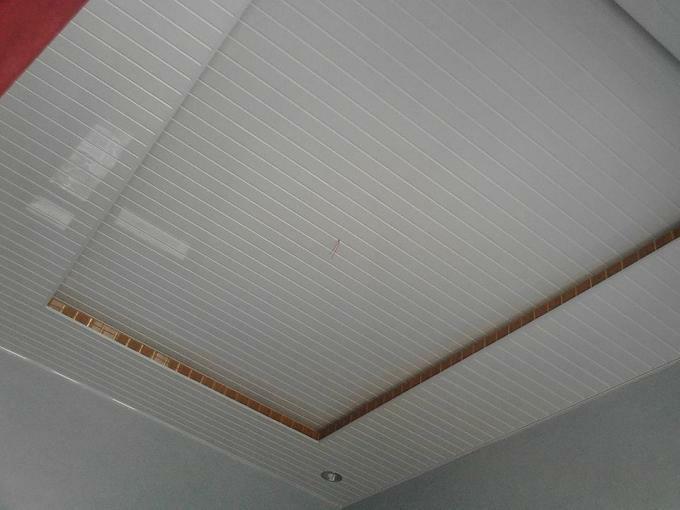 Usually PVC ceiling panel is also the main selection of kitchen and toilet ceiling. 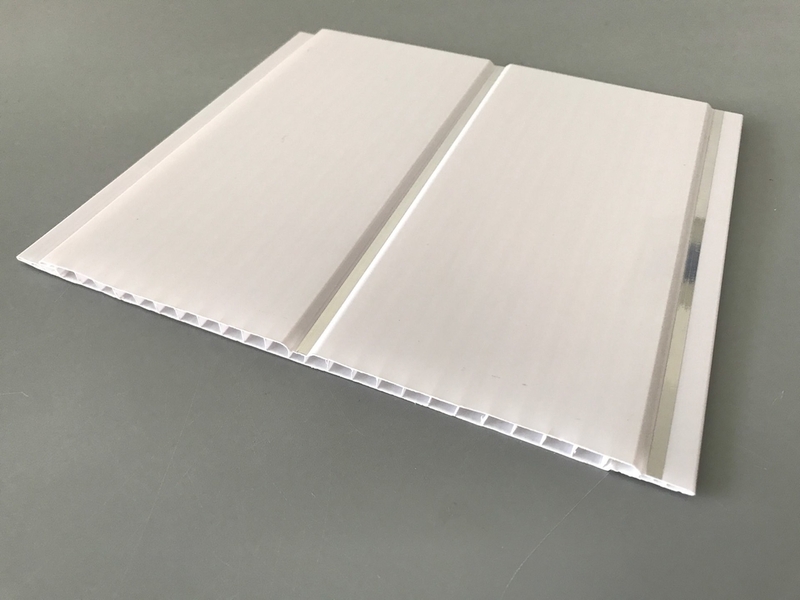 Because of its light weight, waterproof and moisture-proof, the pvc panel is a good choice for the ceiling and wall decoration, especially for the installation of kitchen and bathroom. PVC Panels are great alternatives to conventional interior wall and ceiling lining materials, such as Plasterboard, Tiles, Timber or Fiber Cement. PVC panel is an economic decoration material, the price is cheaper compared with other such as Aluminous panel and wood panel, it is one of the most popular decoration materials. PVC panel is easy to install, and if damaged, it is very convenient to replace. As long as the end of the strip is removed, the panel will be taken out, replace the damaged panel with a new one, and then reinstall the strip. It is easy to install and disassemble the pvc panel, when the pvc panel is broken, only need to remove the profile of the end, then take the broken panel and replace a new one. Usually we choose a material for our kitchen and bathroom, we should consider the cleaning problem. Because the kitchen is often exposed to oil fumes, and more vulnerable to some pollution. But if you choose the pvc panel for decoration, you don’t need to worry about the problem of cleaning, because PVC panel is a very clean material. Because of some special materials during the producing process, it is resistant to oil and dirt. Even if the kitchen will often deal with oil pollution and clean up the site is also very handy. We can do it very quickly with the usual detergent. If you have some difficulties with the gap of two panels, it is better to use a brush dipped in clean solvent when cleaning. The surface of pvc ceiling could be glossy printing and hot stamping, there are lots of different color design, such as marble, wooden and cartoon. we also can produce the colors according to clients' requested. so the finish assembly of pvc ceiling system could offer suitable and beautiful decorative.